For a country the size of Rhode Island, with a population of only 380,000, Belize has changed my life more so than any other country I’ve visited before. It opened my heart, healed me, inspired me, scared me, excited me and made me fall so deeply in love with it. I met my husband in Belize, got married in Belize, have a God-Daughter in Belize and “extended family” there. 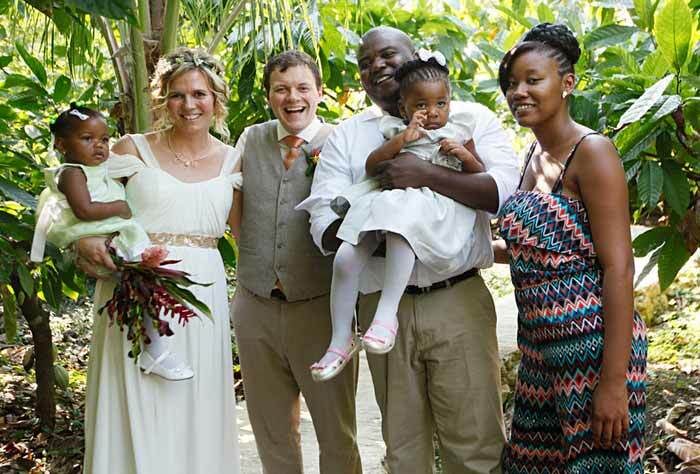 Getting married in Belize with our God Daugher and Belizean family. Well Belize, you did it again and stole my heart once more. There is something about your country that resonates with me – that fills my soul and makes me happy. After returning a dozen or so times, I feel I’ve gotten a good grasp on what this country has to offer, and I am able to dig deeper into all the guts and glory that lies within Belize. And when it comes down to it, despite some pretty dark stuff that happens here, all the light and goodness of this country outshines the dark and makes me love so many aspects of it. So where do I start with my love letter to Belize? Well, I guess I will start with what I love most. I love the people. I love how friendly and welcoming they are and how they greet me with their eyes and make eye contact while talking to me. I love the fact that when I walk down the streets in the evening that everyone greets me with “Good Night”, and I especially love that the proper response to say back to them is “Good Night” as well. 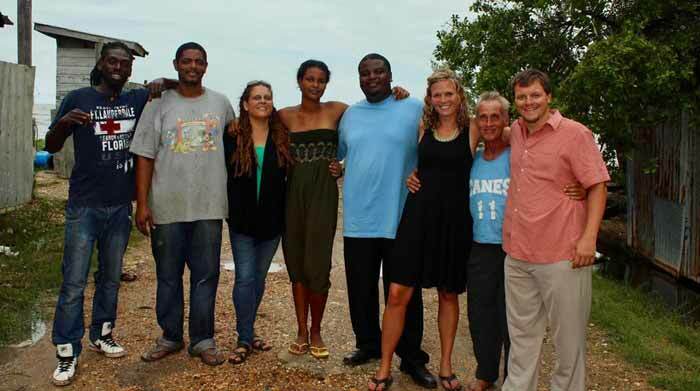 The beautiful people of Belize. I love that at times English, Spanish and Creole are all mixed together into one sentence, and that I can hear Reggaeton, Salsa music, and Michael Jackson all blasting from different houses on the same street. I absolutely love that all of the grocery stores are referred to as “The Chinese”, and I love how rarely is anyone politically correct in this country. I love that I can wear flip-flops on the daily and that my feet are constantly dirty, and I love how I can sit barefoot on the windowsill of a bar, drinking my Belikin, while talking to an old friend and feeling completely happy and content. Enjoying a casual Belikin by the Sea. I love that I have gotten addicted to coconut water and how drinking it is a daily part of my life here. And I love those thick, white flour tortillas that you can’t get anywhere else except Belize. I love that Marie Sharps hot sauce is on every table, and that Belizean Mamas always make sure that my plate is full of rice and beans so that I don’t leave their house hungry. I love that I can swim in pristine, beautiful waterfalls and have no one else around, and I love how I can sit alone on top of a Mayan ruin and overlook Belize and Guatemala at the same time and feel the spirit flow in. Sitting on the top of Xunantunich ruins overlooking Belize and Guatemala. I love the beauty and intensity of the jungle (though I hate the damn bugs that come with being in paradise), and the way that life just seems so good and sparkly when I am out in nature here. And finally, I love how comfortable I feel here. How I feel like I am at home. How people tell me that I “walk strong” when I walk down the streets - for that is the ultimate compliment - as it shows that I am comfortable and that on some level I understand Belize now a little bit more than your average Gringa tourist. 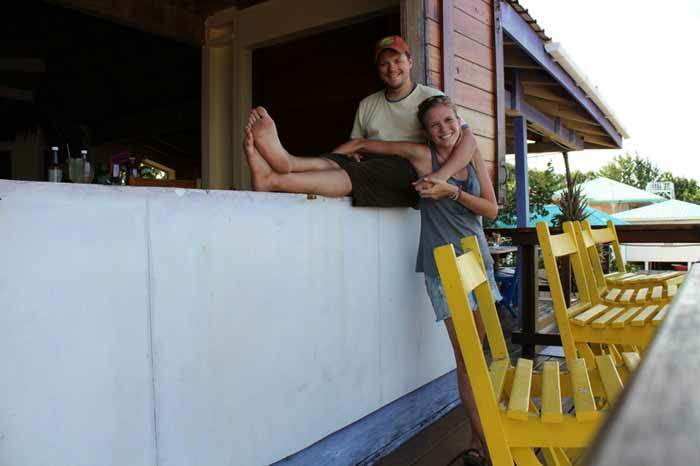 There are so many more things that I love about Belize – but this love letter has to end sometime. So, to Belize – thank you for everything that your country has to offer. And to my friends in Belize – thank you for sharing your goodness and love with me and for opening my heart once again to all the sweetness here. I can’t wait to come back and see you all again.